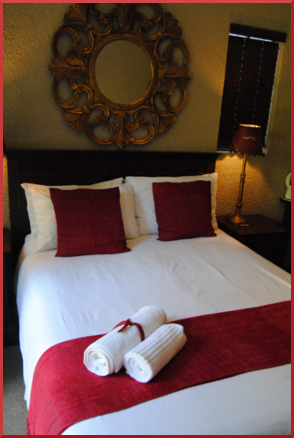 Our en-suite rooms are each individually decorated with superb features like a Jacuzzi bath or Shower, air-conditioning, DSTV, Fridge, Microwave, coffee and tea station, complimentary Homemade Biscuits and Spring Water. Make use of our braai area and swimming pool. Room service is also available. Check in from 2:00pm, check out by 11:00am.